I loved this box as soon as I saw it but as you know I have a weakness for them hence the number that we have on the website! This one is very different to the rest. It is round and made in copper. 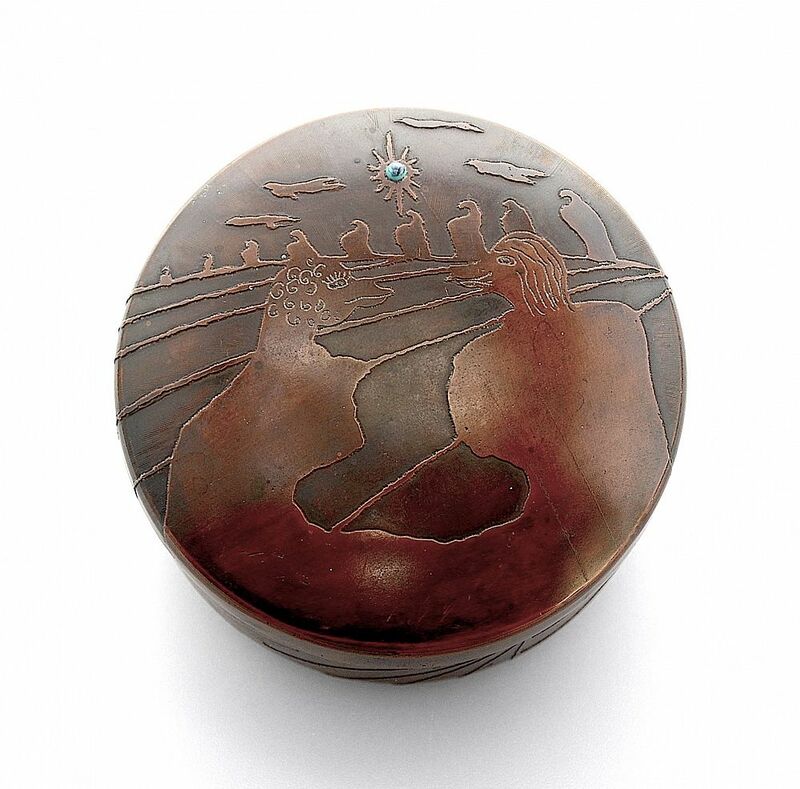 The domed lid has raised decoration: in the foreground in silhouette are two mythical canine like creatures facing each other whilst behind them appears to be a row of monoliths beneath a sky with a sun set with a piece of natural turquoise. 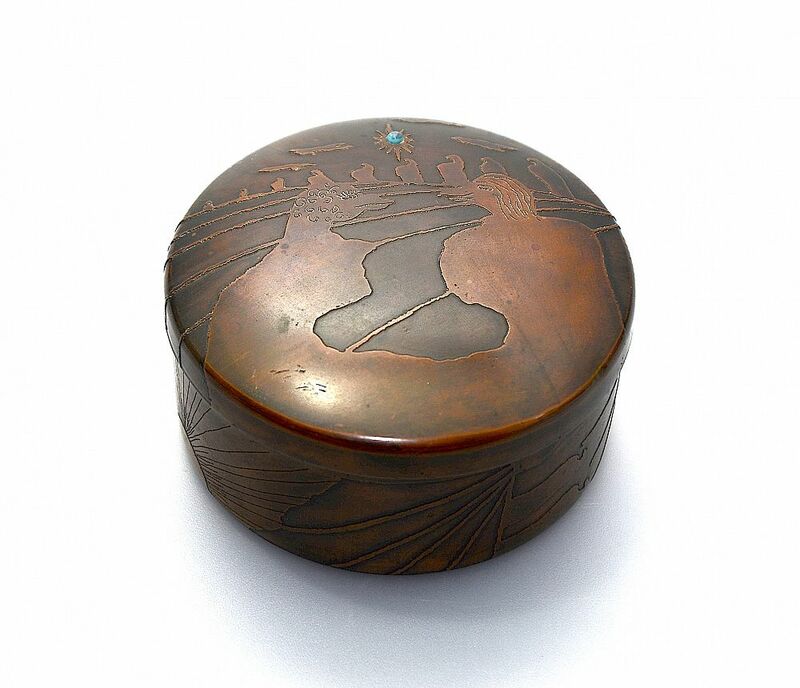 The sides of the box are decorated with suns and sun rays which line up with the decoration on the lid. The underside of the base has been scored with thin fine lines. The top of the base is signed "Chile 76 GMO.Campos"